Dr. Brad Strong was raised in Springville, where he graduated from Springville High School. He has always enjoyed participating in the community and sports. Dr. Strong's personal interests and hobbies were forged in the Wasatch mountains. His favorite past time is fly fishing. He has spent countless hours wading in the river currents of Hobble Creek, Diamond Fork, The Green, and The Provo. He hopes to never miss a year of Deer hunting. He can't wait to take his boys, when they are old enough to enjoy it. After Serving a church mission in Texas, Dr. Strong attended BYU and graduated with a Bachelor's degree in Zoology. Dr. Strong can often be found cheering on the cougars. Upon graduating from BYU Dr. Strong attended The Ohio State University College of Dentistry. It was a quality education in dentistry (and BIG 10 football). You can read more about Dr. Strong's training here. While in dental school Dr. Strong had the wonderful fortune of meeting his wife Lezlee. They have been together ever since that 2nd year of dental school. They now have 4 children, 2 boys and 2 girls. Dr. Strong enjoys spending his free time with his wife and children. They mean so much to him. After graduating from dental school Dr. Strong started his own practice in Montrose, CO. It was a great time and an excellent experience. While there Dr. Strong participated in extensive continuing education and grew in many ways as a dentist. He continues to value education and takes every opportunity to learn more about dentistry. 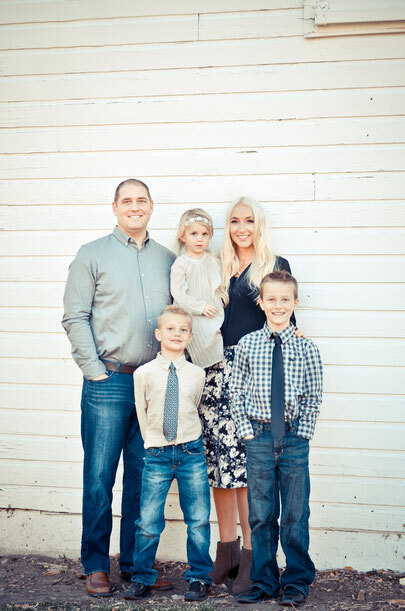 After spending 4 years there, Dr. Strong and his wife decided to move back to Utah to be closer to family and friends.